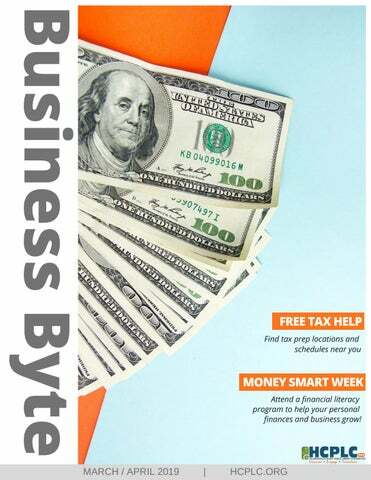 MONEY SMART WEEK Attend a financial literacy program to help your personal finances and business grow! Money $mart @ Your Library Make sense of your cents! HCPLC is participating in Money Smart Week, a national initiative to provide financial literacy resources to our community. Many special events will take place between March 30 - April 6, but libraries will have programs throughout both months for all ages. Take your child to a Money Smart Story Time or attend one of our adult programs like Financial Fitness or Cutting Costs of Everyday Living. All workshops and events are designed to help attendees manage their finances and learn how to grow their savings! Arthenia L. Joyner University Area Community Library Wednesday, March 6 10:30 a.m. - 12:30 p.m. Entrepreneurial Collaborative Center Wednesday, March 6 10:30 a.m. - 12 p.m.
Thursday, March 7 2 p.m. - 4 p.m.
Jimmie B. Keel Regional Library Tuesday, March 12 3:30 p.m. - 5 p.m.
Brandon Regional Library Wednesday, March 13 4 p.m. - 5 p.m.
Brandon Regional Library Wednesday, March 27 4 p.m. - 5 p.m.
Thursday, March 14 2 p.m. - 4 p.m.
Temple Terrace Public Library Thursday, March 28 2 p.m. - 4 p.m.
John F. Germany Public Library Thursdays, March 14 - April 18, from 6 p.m. - 8 p.m. Meet weekly to learn the principles of public speaking. Practice confidently delivering talks through this interactive series. Lutz Branch Library Mondays, April 1 - May 13 6:30 p.m. - 7:30 p.m.
Brandon Regional Library Wednesday, April 3 2 p.m. - 4 p.m.
Riverview Branch Library Wednesday, April 3 2 p.m. - 3 p.m.
Arthenia L. Joyner University Area Community Library Thursday, April 4 4 p.m. - 5 p.m.
GROW YOUR PODCAST SouthShore Regional Library Saturday, April 13 1 p.m. - 2:30 p.m.
Charles J. Fendig Branch Library Wednesday, April 10 10:30 a.m. - 12:30 p.m.
INTRODUCTION TO QUICKBOOKS Bloomingdale Regional Library Wednesday, April 24 2 p.m. - 4 p.m.
INTRODUCTION TO PHOTOSHOP CC SouthShore Regional Library Wednesday, April 10 6 p.m. - 7:30 p.m.
UNDERSTANDING BUSINESS CASH FLOW MANAGEMENT Jan Kaminis Platt Regional Library Thursday, April 18 2 p.m. - 4 p.m. BOOKKEEPING BASICS North Tampa Branch Library Tuesday, April 30 10:30 a.m. - 12:30 p.m.
Free Tax Assistance Libraries are partnering with United Way Suncoast to offer free tax assistance at selected branches until April 15. These services are offered by volunteers with AARP Foundation Tax-Aide and Volunteer Income Tax Assistance (VITA). Please note tax assistance is for personal income taxes. Explore our new online catalog! 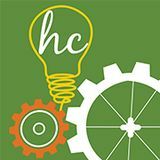 HCPLC Connect is a new catalog search experience that will connect you with books, movies and music, technology, your account, new experiences, and other readers. We've made it easier for you to find what you are looking for. Key features: Improved search experience. Mobile-friendly catalog. Browse lists of recommended and popular titles. Rate, review, and share titles with others. Create personal reading lists. Recommend titles for us to purchase online. Find information about free business development resources.